Leaders often forget the difference between a “job” and a “career.” A job is a means to a paycheck, whereas a career is a long-term path that provides meaning. So, offering employees “jobs” doesn’t usually inspire loyalty. Research backs this up: A November 2017 Addison Group survey of 1,000 employees found that 84 percent of those respondents actively seeking a new opportunity viewed their job as just that — a job. They didn’t feel they had a career. The message here is clear: If leaders want employees to stick around, they need to offer something more: a long-term way to align individuals with the organization. Otherwise, those employees will always be on the lookout for another, better opportunity. Whitney Johnson is the Roanoke, Va.-based author of Build an A-Team. She points out that when hiring for a job, leaders tend to focus on proficiency. Yet proficiency only works initially. It doesn’t allow employees to fully realize or pursue their potential. Prioritizing potential, on the other hand, creates an opportunity for employees to learn and set goals for themselves. For example, four years ago, Emily Key, the vice president of operations at the Vancouver-based online bookkeeping company Bench, hired an intern for whom she developed a series of goals. By meeting those goals, the intern gained experience in the company’s service department — and now leads that team. “When employees see a clear path of progression from their current role to a more senior position in the company, they are more likely to pursue that opportunity within the company,” Key told me via email. So, take the time to learn about job candidates’ career goals. 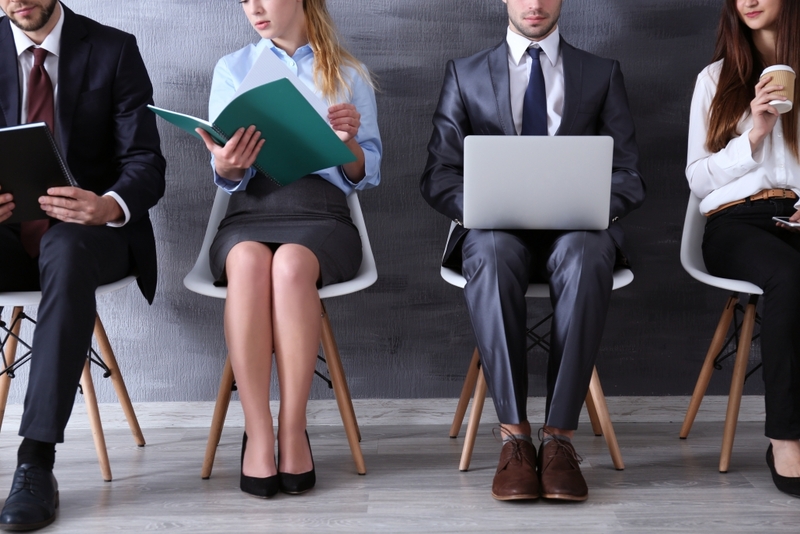 During the hiring process, talk about where they see themselves in a year and in five years. Then, discuss the various paths they can follow to reach those goals. Also, be clear about expectations and milestones they’d need to meet to progress toward their goals. This will show job seekers that your organization values employees and wants them to stay long-term. Great employees believe in a company’s values and mission. They want to play a meaningful role. Edward Fleischman, chairman and CEO of the New York-based recruiting firm, The Execu|Search Group, suggests that the best way to provide that meaning is to show employees the impact of their work. “When an employee enjoys what they do, sees their impact and feels valued, they will want to build their career with the organization,” Fleischman suggested via email. From Day 1, then, explain to employees how even the smallest tasks contribute to the big picture. Organizing a spreadsheet may seem like busy work until they understand what that spreadsheet is for and the role it plays in achieving larger company goals. Be transparent about where the company is going and the role individual employees play. Meaning will follow. Crystal Huang is the CEO of the Irvine, Calif,-based talent management platform ProSky. She told me that she once had an employee who would constantly ask when the next pay raise would come. At the same time, Huang noticed that this man was less interested in his work. After talking to him, she discovered that he didn’t see a future with the company. That’s when Huang decided to create a career pathway for each and every employee. That “pathway” lays out what milestones an employee needs to hit before his or her next raise or promotion. The key, Huang told me, is to tie each of these steps to a company goal. For example, say your company is looking to improve customer service, and a particular employee wants to move into a management role: Create a plan to make both things happen. Start by addressing any customer service hurdles the employee’s faces. If necessary, provide training to help the employee overcome those hurdles. Then, encourage the employee to share his or her knowledge with others. Having this individual guide co-worker will simultaneously improve customer service while preparing the employee to manage. They say it takes a village to raise a child. It also takes a sense of community to develop an employee. Being surrounded by other skilled employees allows each individual to learn and grow. Liz Corcoran is now the director of talent development at the Chicago-based social media management platform Sprout Social. In a previous role, she told me, she was the manager for an intern looking to gain experience in organizational development. Corcoran took the concept of “intern” seriously: Instead of isolating him, with “intern responsibilities,” she said, she made him an integral part of the team. And she was rewarded for that effort: Over time, the intern developed into a successful full-time employee. So, do what Corcoran and the others commenting here did: Create an environment where employees are encouraged to teach and mentor one another. Schedule team lunches where one employee talks about his or her personal career path. In that kind of culture, employees can share what’s helped them advance and answer questions from others who want to follow a similar path.